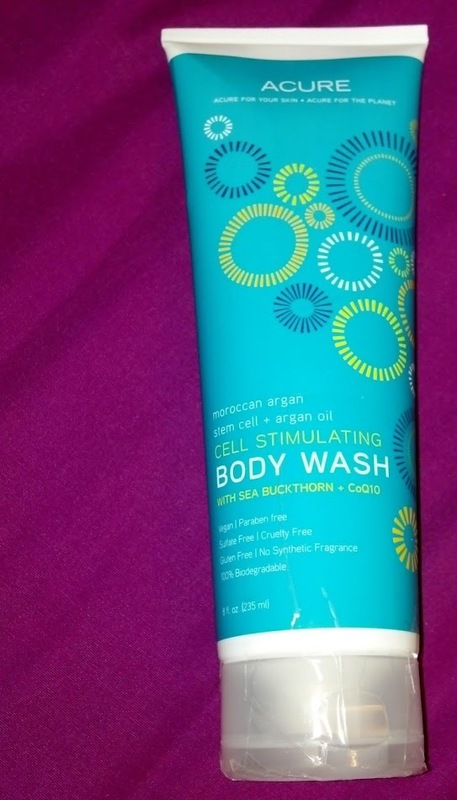 Read on for my reviews of these bath & body products from Vitacost! 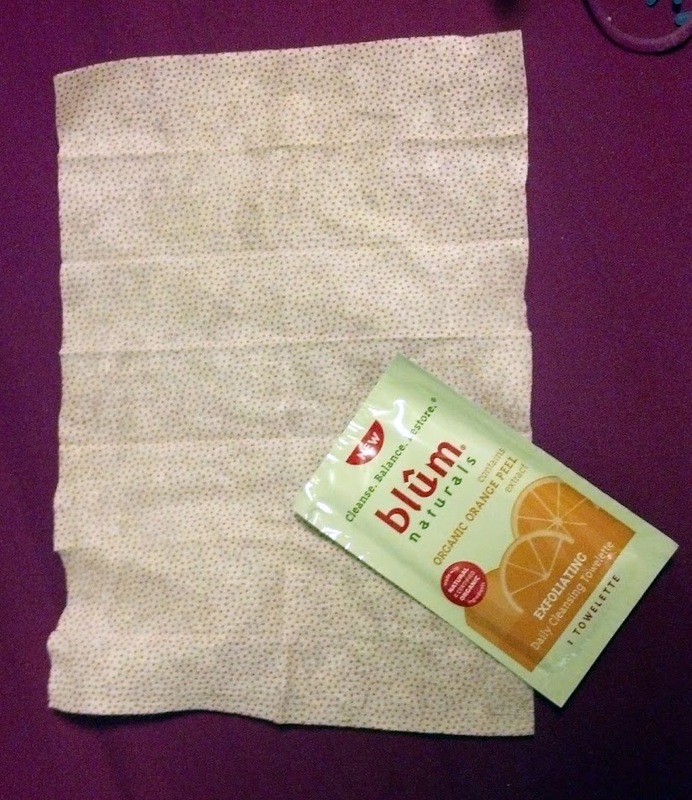 If, like me, you haven't got time or energy to do a lengthy facewash at night, I'd recommend Blum Naturals Exfoliating Daily Cleansing Towelettes with Microbeads. The Microbeads gently scrub away dirt and grime, while exfoliating your skin. I can tell that I have fewer breakouts when I use these Cleansing Towelettes from Vitacost. I like the feel and moisture-level of the towelettes, however their scent is not my favorite. I would love to try one of the other scents that Vitacost carries. A tip: to make the towelettes last longer, I rip them in half. The wipes come either in individual packs, which are convenient for travel, or in a larger wipes-type pack. 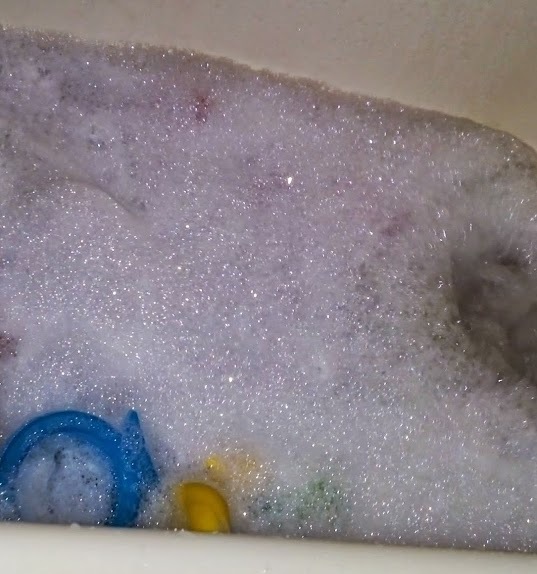 Bubble baths at our house are my kids' favorite. To them, a bath without bubbles is not really a bath at all! 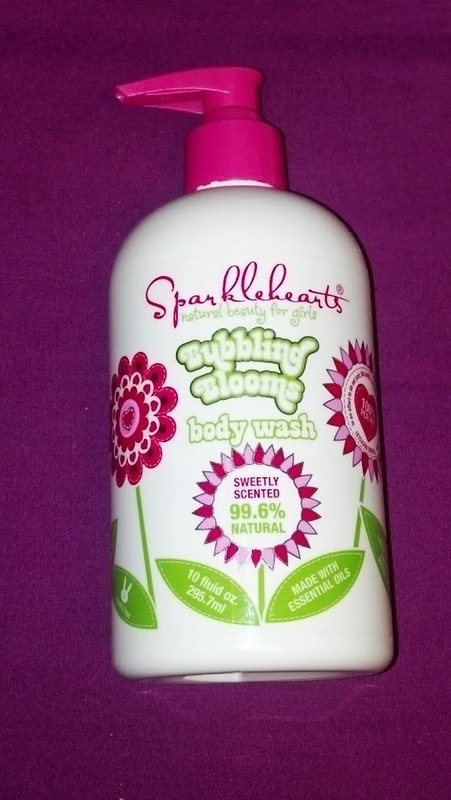 As a mom that's concerned about unnecessary and harmful ingredients in our bath products, I was so happy to find Sparklehearts Bubbling Blooms Body Wash. This Body Wash is paraben-free, phthalate-free, sodium lauryl/laureth sulfate-free and animal cruelty-free. I love that it is a perfectly clear color, as you can see in the photo to the right. This body wash works perfectly as a bubble bath. One of the most convenient things is the pump top, that I can use to pump the wash directly under the running faucet or onto washcloths. Seriously, this may not seem like a big deal, but every time that I give the kids a bath, I am so grateful for the pump on this bottle! Check out these glorious bubbles! Although I loved the Sparklehearts Body Wash, I didn't find the Sparklehearts Detangler to be very effective. My daughter's hair is very thin and often tangles in the back where she rubs her head against her car seat and bed. We've found detangler to be essential in getting her hair untangled. The Sparklehearts Detangler, however, didn't seem to do anything other than make her hair damp. It was disappointing, especially when I loved the Sparklehearts Body Wash so much. Now here is a body wash just for me! I've heard so many exciting things about the possibilities of plant stem cells in beauty products. It's been exciting to try it out! The Acure Body Wash has no fragrance and lathers up well. I use it as a body wash and shaving cream for my legs. The Acure Body Wash is vegan, paraben-free, sulfate-free, cruelty-free, gluten-free, and is 100% biodegradable. I can tell that the Acure Argan Body Wash is good for my skin and I am so happy that it is clear, with no dyes or synthetic fragrance. This Geodeo Natural Deodorant has been created to fight the daily build up of impurities in the body. The deodorant is 97% natural and provides 24-hour protection through volcanic minerals, Icelandic algae, bamboo, aloe, and vitamin E. The deodorant is also sustainably made with 50% less energy consumed in production and 50% fewer emissions. I found the natural deodorant to be soothing and pleasant on my underarms. I did have to get used to not using an antipersperant, but I was very pleased when I was using the Geodeo in the spring. As the weather became unbearably hot in the summer, I found that I had more odor than I'm comfortable with. 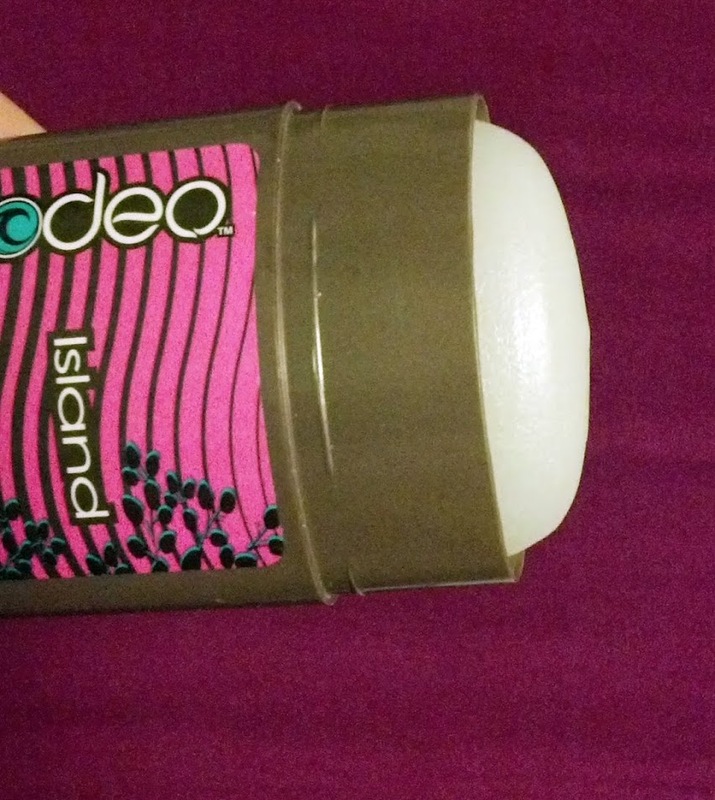 So for me, the Geodeo deodorant is a great option for cooler weather. 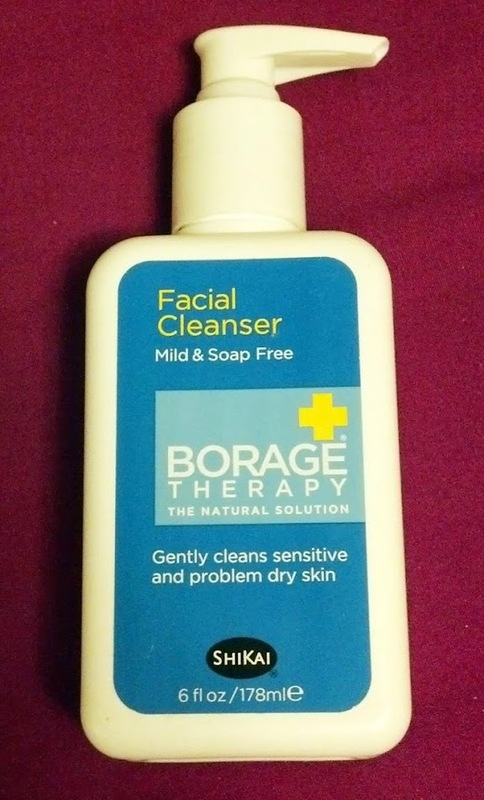 This Shikai Borage Facial Cleanser is made specifically for dry skin. It contains no soaps, has a high aloe content. This is great for persistent dry skin, atopic dermatitis, or eczema. I often have problems with dry, tight skin on my face, especially in the winter. Paradoxically, my face can look like a oil-slick by the end of the day. The Shikai Borage Cleanser is great for my skin because it takes care of the grease, but is still moisturizing for the dry areas of my skin. I also like the fact that the cleanser is clear! (Are we seeing a pattern here?) It shows to me that they have really avoided added dyes. The only thing that I dislike about this cleanser is that it has a slightly musty smell when I use it. There is no smell after use. One final note is that the pump top is very convenient to use during the shower when I have wet, slippery hands. 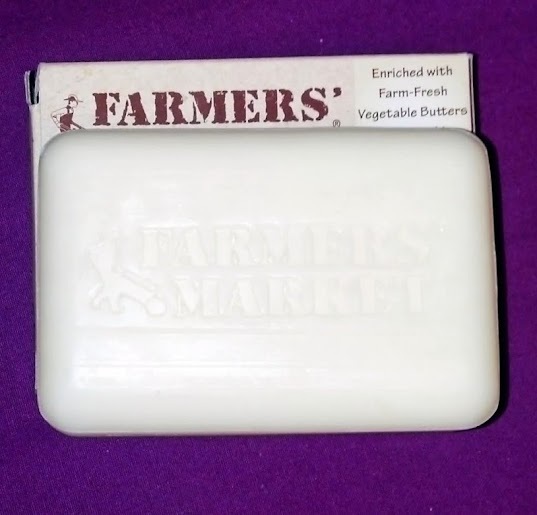 The Farmers' Market Natural Bar Soap is my husband's go-to body soap. He prefers a bar soap that lathers well and doesn't smell too feminine. This is the bar soap for him! We both appreciate that it cleans him well and takes care of dirt and odors. All that cleaning power is provided cruelty-free with farm-fresh vegetable butters, antioxidants, organic avocado, blueberry, and Shea butters. 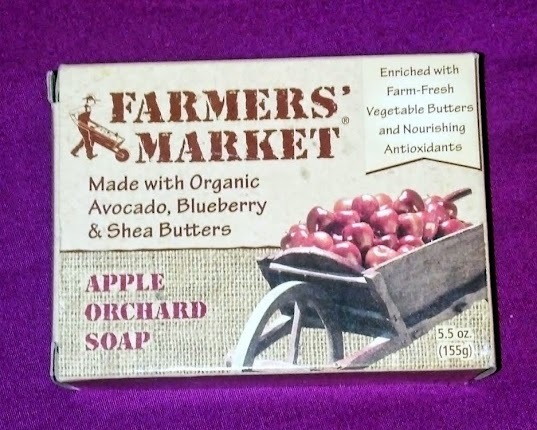 This soap is a great choice for anyone who is looking for clean, moisturized skin! Being a cloth-diapering mama, I've heard so much about soap nuts as an option for laundry detergent. Apparently, the soapberry comes fro the lychee fruit family. (This contains no nuts!) I love the idea of a completely natural laundry solution that is dye-free, fragrance-free, phosphate-free, and hypoallergenic! This Eco Nuts Natural Laundry Soap is good for 24 loads of laundry (48 HE). I was really impressed with the cleaning power of the Eco Nuts Laundry Soap. My kids' clothes came out clean and smelling fresh. I honestly think that the Eco Nuts soap works as well, if not better, than my grocery-store-bought detergent. I tried the Eco Nuts soap out on my mama cloth and towels and found the detergent to be very effective in getting out stains, smells, and general funk. Eco Nuts Laundry Soap is a winner! Thanks for reading through my reviews! I hope these reviews give you a good idea of all of the natural, healthy possibilities that are available through Vitacost. I would definitely recommend signing up for their emails, as they regularly send out emails with 15% to 50% off deals. Enjoy checking out their expansive array of bath and body products!